Turning Technologies, a provider of learning engagement and assessment solutions, has launched an updated version of its assessment software for K–12 classrooms. The latest version of ExamView offers brand-new online testing capabilities, expanded learning management system (LMS) integrations, comprehensive clicker support and more features. ExamView v11 allows teachers to use traditional test question types, such as true/false, multiple choice, multiple response, numeric response and other options. 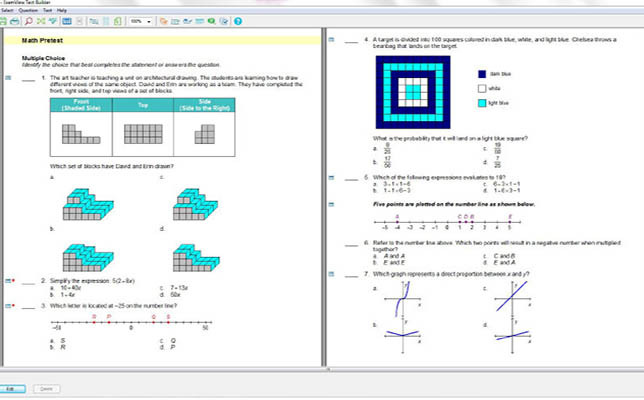 ExamView allows teachers to create, administer and manage assessments using a variety of content. Teachers can select content from nearly 12,000 individual textbook titles and more than 15,600 unique exam questions, organized by K–12 English language arts, reading, math, science and social studies subjects. They can leverage ExamView’s content or build their own study guides, worksheets and assessments on the platform. The new ExamView v11 boasts “a fresh new appearance” with a simplified user interface and overall enhanced appearance, according to Turning Technologies. Now, for the first time, teachers can use the premium version to administer a test online, allowing students to respond to questions through an application on any web-enabled device. ExamView Premium is ideal for a BYOD environment or with existing classroom response devices. In addition, ExamView v11 includes comprehensive student clicker support and test manager troubleshooting tips to help eliminate technical worries. It offers both instructor-led and self-paced delivery modes as well. To date, Turning Technologies has delivered more than 20 million response devices to K–12 schools, universities and businesses worldwide. Further information can be found on the Turning Technologies site.